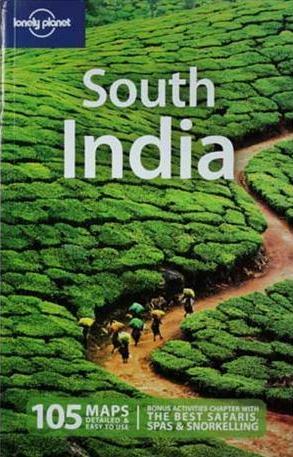 A review of the Lonely planet South India travel guide. Unlike it's bigger sister - (the complete India guide), this book is compact enough to be practical and has everything in it that the big one does as well. Many people have problems with the big lonely planet India book as they say that India is just too big and diverse to be covered in just one book so use regional guides instead and I can understand that but my problem is that you don't need a guide book to tell you everything about a place because that is why you are there - to Find out for yourself. A guide book should be used as it's title suggests - as a guide. Of course if you trip is only taking you to South India then this is definitely the book for you. Well bare in mind the point above and if the answer is still yes then I can tell you that you won't find a better South India Regional travel guide. The only other real competitor is the The Rough Guide version which to be honest and despite having some other good reviews, I don't consider as half the book this one is. Alternately scroll down to the bottom of the page to see our visitors opinions on this book or of course add your own. South India is distinct from the north and Lonely Planet knows how. We've explored the lush waterways of Kerala, bartered in Mumbai's bazaars, taken tea in charming hill stations and sampled seafood in Goa's beach shacks. Of these, we've picked only the best and our 5th edition takes you to them. Yes - The problem with these India Travel guides is as soon as they give a rave review about a place it completely changes making it immediately out of date. But - as I keep mentioning, the books are only 'guides' not bibles so with that in mind, it doesn't really matter however out of date the guide is.